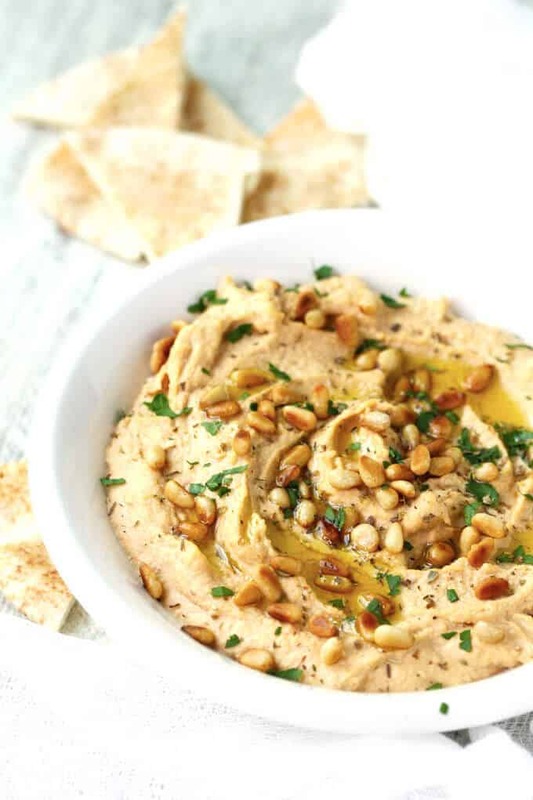 Chipotle Hummus with Roasted Pine Nuts will become your next favorite thing to make. 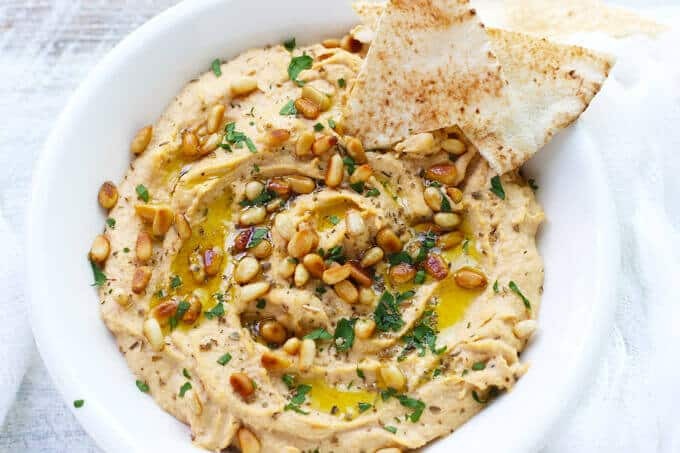 I absolutely love Hummus! And it wasn’t until recently that I realized that homemade Hummus can be so easy and delicious. My realization started at my local farmers market in Long Beach, NY, where we used to live. One summer afternoon, while on maternity leave, I decided to take a walk with my baby to the farmers market. Our normal daily routine was to just hit the boardwalk, get some fresh ocean air, burn some calories and head back home. This one afternoon however, the farmers market was calling my name. Little did I know that it would totally change my view on…you guessed it…HUMMUS. Since then, I’ve never bought Hummus in the store again. This farmers market is great. It comes to Long Beach every year and sets up on a bi-weekly basis from April to November. You can buy amazing local fruits and veggies, cheese, breads, and pickles; but there are also organic soaps and all kinds of different artisan’ stands. One thing which I insatiably bought there were the tomatoes – which start to be ripest in the middle of the summer. 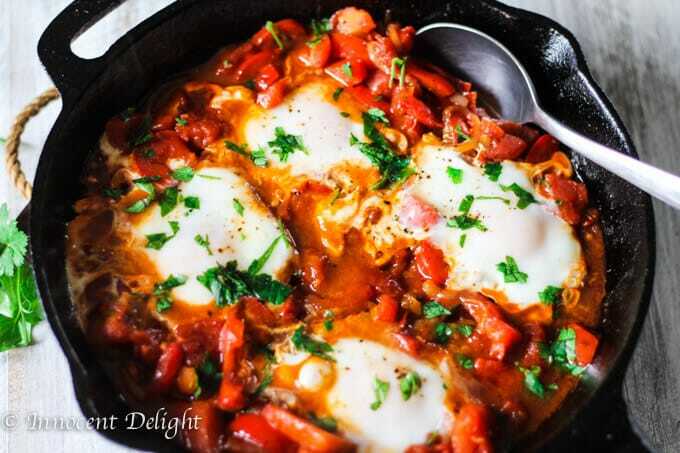 I tried to hit the market often over the weekends to get those tomatoes and make a tomato based dish like this Tomato Peppers Stew – Hungarian Lescho. At any rate, on a random Wednesday at the market a new stand showed up. The attendant looked at me and said: “I have the best hummus you have ever tried.” Of course I had to put that bold statement to the test: I tasted…I agreed…and I had to buy it on a weekly basis thereafter. Yet, come November my market was gone for the winter. Since then we have moved from Long Beach and I truly miss that farmer’s market. However this rekindled addiction to hummus didn’t fade when I lost access to my hummus dealer. Rather, this is when I decided to cook up my own batch. 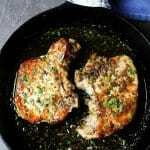 The inspiration for this particular recipe came from Ina Garten. Whenever I use her recipes they always turn out to be super delicious. I ended up putting my own twist on the recipe, and let me tell you, it’s heavenly! In fact, dare I say, I think it is better then the one from the market. 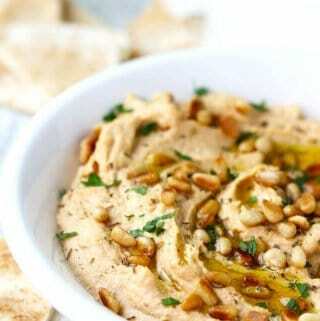 Please try this Chipotle Hummus with Roasted Pine Nuts and let me know how it comes out. Olive oil and some fresh parsley. Making it is even simpler. A food processor (affiliate link) will do the job for you. 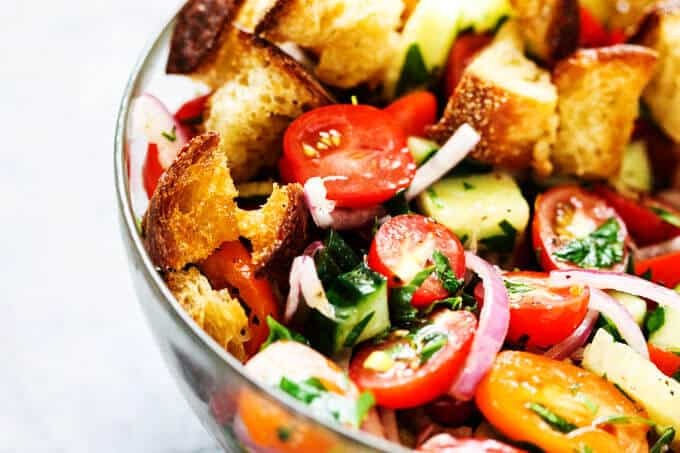 Once it is done you can either eat it with pita bread or smother it on Homemade Dutch Oven Crusty Bread or make Mediterranean Hummus Bowl. The choice is yours. 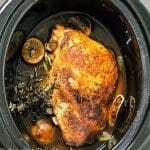 Taste hummus and adjust seasoning, lemon juice, spiciness. You can also add more water if needed. This post was originally posted on May 16, 2014 and it was since then updated to provide additional information. 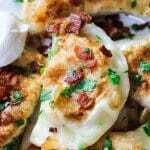 A perfect addition for an elegant, or even backyard bbq, appetizer! Who can say no to something so delicious! Love the addition of Chipotle! Brilliant! I’m having a problem getting my chip through the screen… Maybe if you move it closer… This looks like the BEST hummus EVER! 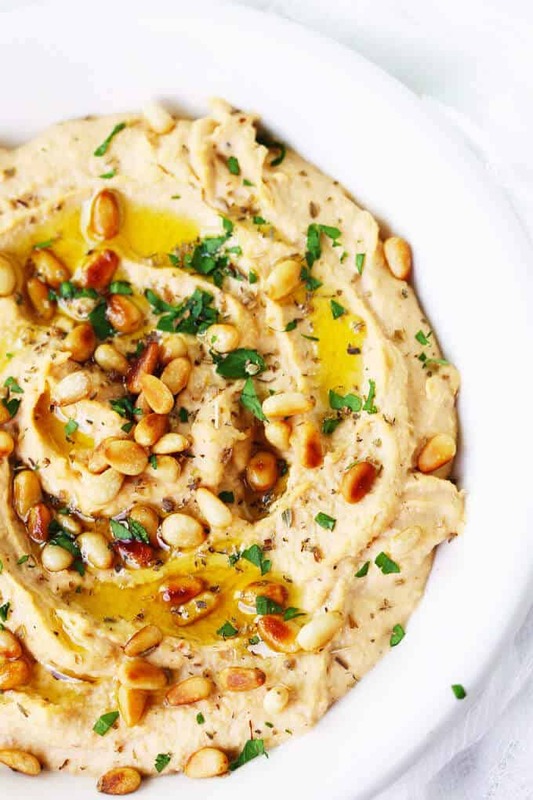 I love love hummus! 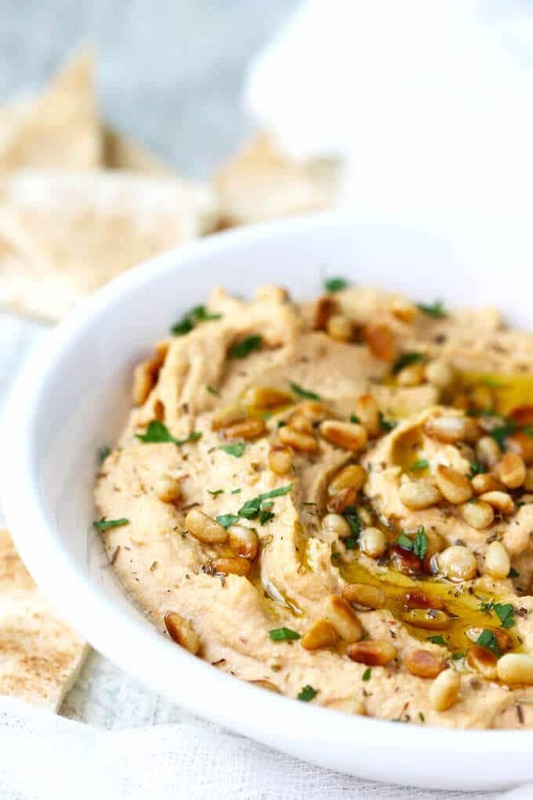 I tend to go for a garlic hummus, but this version with peppers sounds amazing too! I am also addicted to my local farmers’ market, and all its resplendent fare. 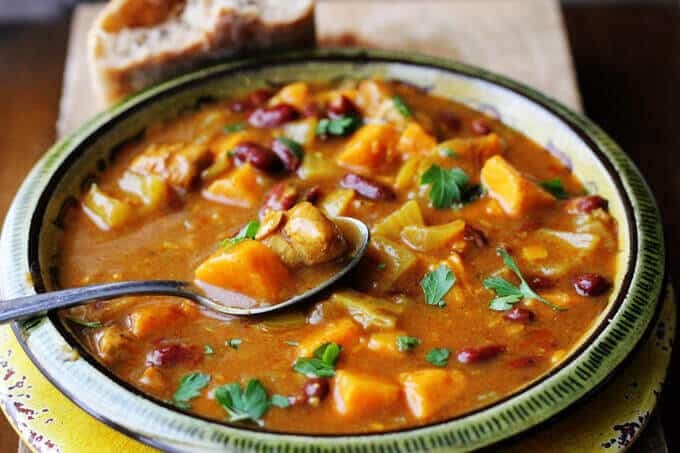 Then, come winter months, I feel as though the carpet has been yanked out from under me when I can’t get my fresh veggies, cheeses, jams, and dips. This hummus sounds an absolutely delicious take on some of the snarfalicious hummus dips I’ve sampled at the FM. 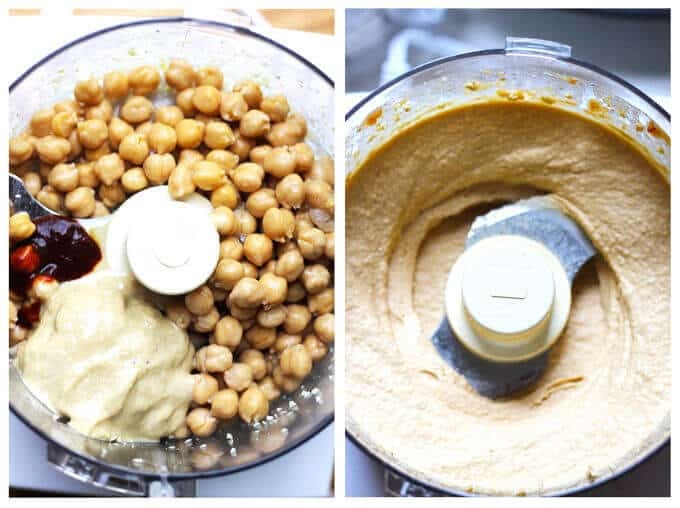 I had no idea that hummus was so easy to make! Holy moly that looks fantastically creamy!! 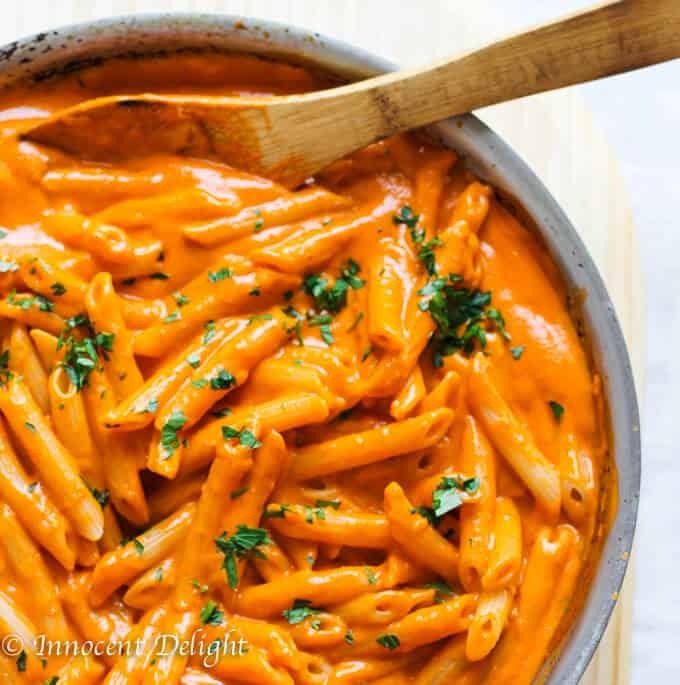 😀 I am a huge dippy dip dip person and I am so loving this recipe! !